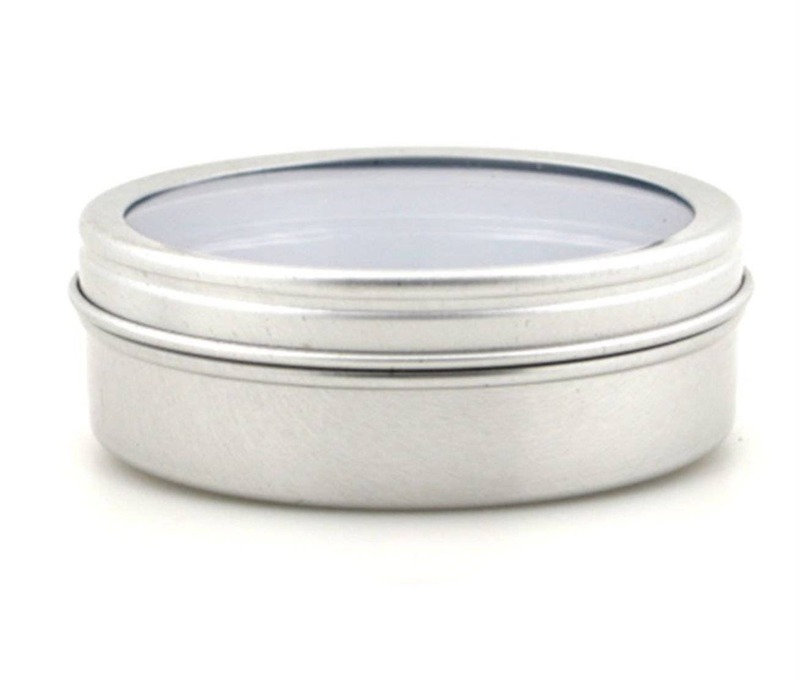 MagnaKoys window top round "tin" containers are seamlessly formed of 100% steel (.24 mm metal). The slip on cover has a clear window insert that allow for easy visibility. 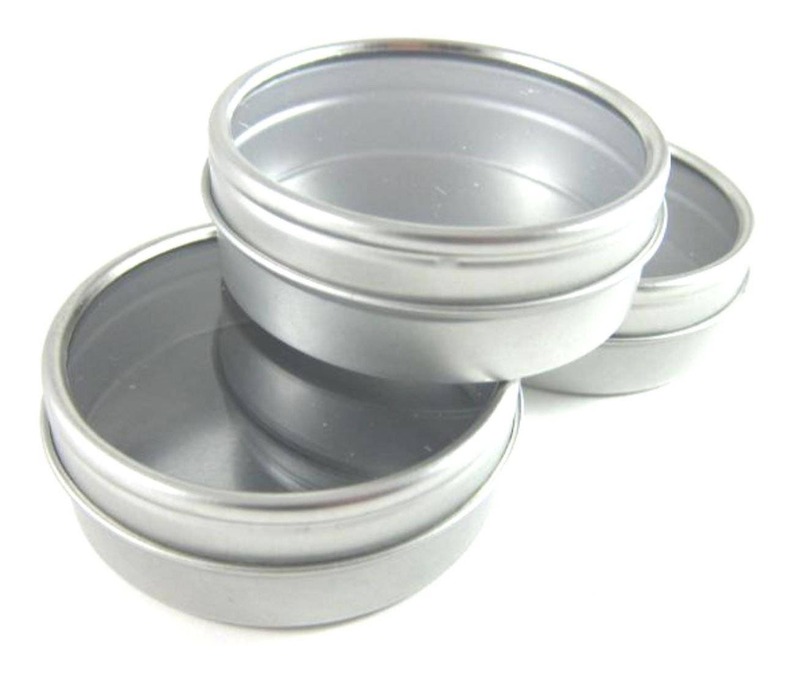 All "tins" lids and bottom edges are rounded for safety. The product pricing is for the cover and bottom and is shipped assembled. Dimensions are of outside measurements. 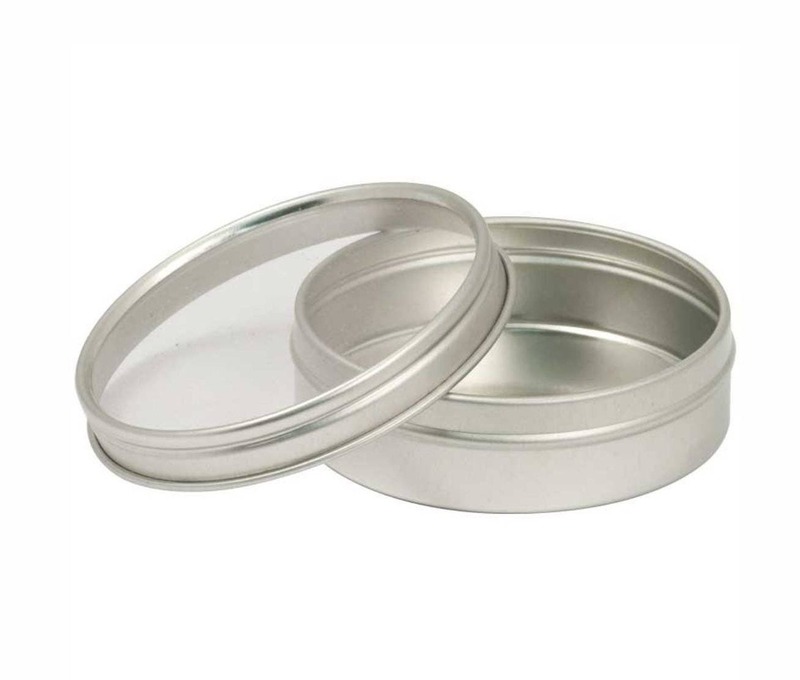 Our tin cans are made of 100% steel. Exactly as pictured. Quick shipping.